El-Erian narrows in on three major international repercussions that should be monitored over the coming months. A growing divergence between the U.S. Federal Reserve and the European Central Bank monetary policy could lead to some major consequences internationally, according to Mohamed El-Erian. 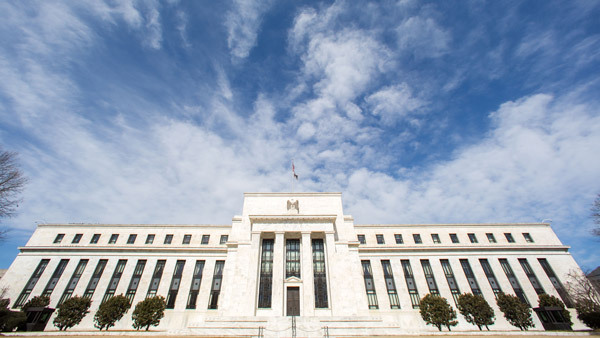 In a Project Syndicate column titled “The Great Policy Divergence,” El-Erian addresses his worries about the international repercussions as the Fed and the ECB are likely to put in place notably different policies over the next few weeks. While the Fed seems set to raise interest rates for the first time in almost 10 years when its policy-setting Federal Open Market Committee meets on December 15-16, the ECB meanwhile is expected to introduce additional measures to drive rates in the opposite direction. The effects of this growing divergence can already be seen, according to El-Erian. “Companies are already reporting earning pressures due to the rising dollar, and some are even asking their governments to play a more forceful role in countering a stealth ‘currency war,’” he writes. 2. Another issue could result because the dollar is used as a reserve currency, and a rapid rise in its value could put pressure on “those who have used it imprudently,” El-Erian says. “At particular risk are emerging-country companies that, having borrowed overwhelmingly in dollars but generating only limited dollar earnings, might have large currency mismatches in their assets and liabilities or their incomes and expenditures,” he writes. 3. The third issue is that sharp movements in interest rates and exchange rates can cause volatility in other markets, El-Erian writes, and most notably for equities. “Because regulatory controls and market constraints have made brokers less able to play a countercyclical role by accumulating inventory on their balance sheets, the resulting price instability is likely to be large,” he says. As El-Erian notes, the impact of the divergence will depend on how policymakers manage its pressures. “Politicians on both sides of the Atlantic have the ability to lower the risk of instability by implementing structural reforms, ensuring more balanced aggregate demand, removing pockets of excessive indebtedness, and smoothing out the mechanisms of multilateral and regional governance,” he says. He questions, though, whether politicians have the political will to act decisively to minimize the risks. You’re the Fed Chairman. What Would You Do? Can Treasuries and Bunds Keep in Lockstep?